Yet another movie I had initially never heard of that ended up blowing my mind! Nobel Son is about a PhD candidate whose father, Eli Michaelson is a "genius," a professor and has just been awarded the Nobel Prize in Chemistry. Hardly excited about this, Barkley only really knows his dad as being an intolerable jerk who treats his family like they are lowly beings, while he does whatever he wants, such as sleeping with grad students. Upon winning the prize, Eli is set to head to Sweden with his wife and son, but Barkley fails to show up. It turns out he has been kidnapped and is being held for a two million dollar ransom. Not only is this not cool for Barkley, but he has just spent the evening with City Hall, a girl who he's been drooling after for months. This character is played by Eliza Dushku and I am quite a fan of her! The great thing about this movie is that nothing is what it seems. You have to pay close attention as there are many twists and turns throughout that will leave your jaw dropped and your head spinning, but in a good way! And I was anxiously awaiting the end to find out what would happen, because in my book, the ending can make or break a movie... and guess what! I was soooooooo NOT disappointed!!! 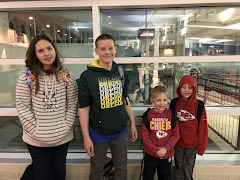 Family Time Factor: This is more of a date night movie. You could probably watch it with your high school aged children, but is probably inappropriate for anyone younger than that. Plus, it requires good concentration and being able to pay attention. 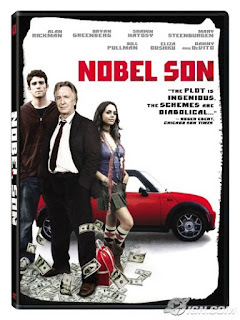 Nobel Son is currently available on DVD!! !